Last week luxury brand Fendi, following the innovative and creative fashion shows they started making since their debut in The Great Wall of China, staged the launch of its fall/winter line including fur items in a man-made island located in the Han River in Seoul. However, the making of the show was quite controversial due to the fact that Seoul anti-fur activists demanded the country's government to censure it, alleging that it was a public venue and that the brand strongly encouraged the use fur in a world where people have turned away from it (don't know where they got that from). Fendi came to terms with the government saying it was too late to change the show in weeks when it had been planned in months, gave away scholarships for South Korea's young designers and included bags, shoes and accessories on the show to diminish the attention on fur items. The activists were not happy with these terms and still protested outside the venue doors. And really, what's this all about? As far as I'm concerned, really few people have changed its consumer habits to help minimize the use of fur in the world. For thousands of years humans have used animals for food and clothing, and its part of our human nature to use our surroundings in our own advantage. As long as we don't exaggerate in this, it is all part of a natural process. You are not happy with fur? don't buy it. Give your opinion to the luxury brands by doing so, but don't judge those who use it. 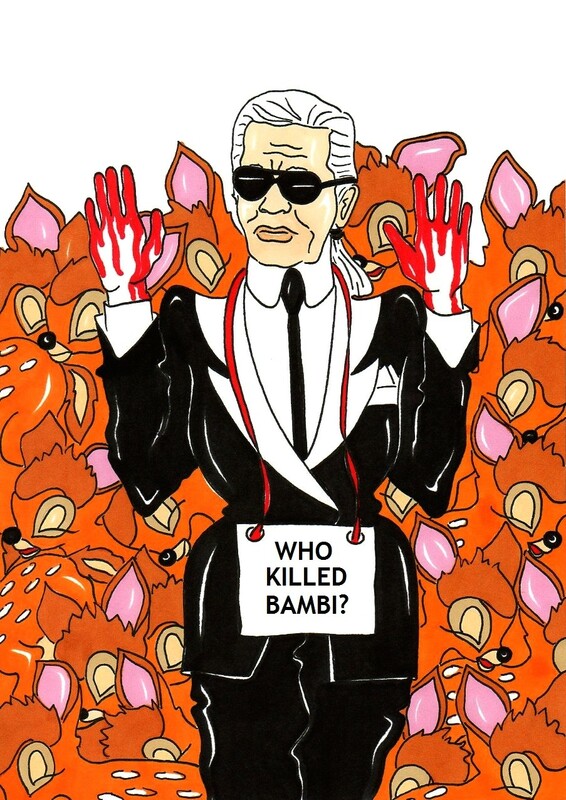 If we get all fuzzy about fur, why don't we get fuzzy with leather and meat too? My opinion in this is: as long as we don't lead animals towards extinction it is our choice whether to use these items or not. I do think fur looks lovely.